I’ve always written short stories, as well as full length books. Up until now I haven’t given much thought to what to do with them. After getting some feedback, I’ve decided to try publishing a few. The ones I have in mind are all written in various locales around the Middle Sea, so I’ve decided to release them under the series name, ‘Short Tales of the Middle Sea’. Short form writing provides a nice opportunity to explore some of the things about the Middle Sea world and its characters that might not sustain a full length novel, and they’re a lot of fun to write. They’ll be stand alone stories, usually around the 5,000 word mark (or about 16 pages), dealing with new characters for the most part. Occasionally there may be a familiar face or two! 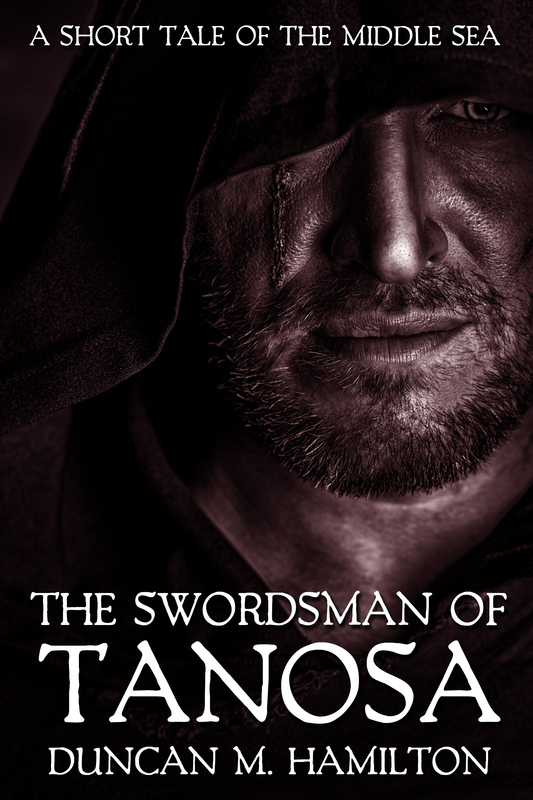 The debut of this new series will be ‘The Swordsman of Tanosa’, the story of a banneret who has lost all that was important to him and is faced with the chance to win back a little of it. The only question is the cost… It will be available in the next few days. You can sign up for my mailing list to be notified of when it’s out. Here’s a peak at the cover. Nicely dark and brooding. I think it suits the story really well. I’m not sure how this whole short story thing is going to work out, so publishing this is something of an experiment. I’m still working away on my full length stuff, with two stand alone novels related to the Society of the Sword trilogy at an advanced stage, and a new trilogy that I’m quite excited about also in the works. I’ll do an updates post at some point in the near future to talk a little more about those projects! This entry was posted in Short Tales of the Middle Sea and tagged book, books, ebook, ebooks, epic fantasy, fantasy, fiction, kindle, Publishing, short stories, short story, The Swordsman of Tanosa, writing by Duncan. Bookmark the permalink.